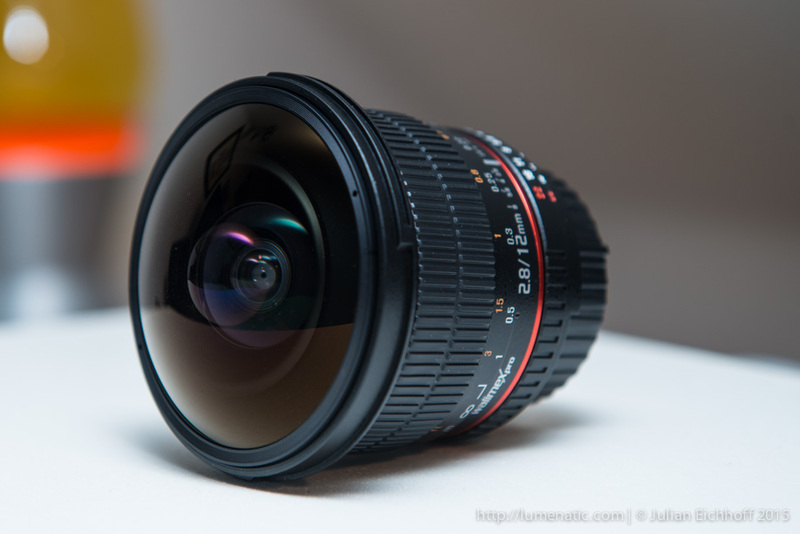 In September 2014, Samyang announced a 12 mm f2.8 fish-eye lens for full format cameras. At Photokina Cologne, I had the chance to take a peek, but since it was showcased behind glass, I did not learn anything I did not know from the announcement already. Since then I have been looking forward to buying that lens. 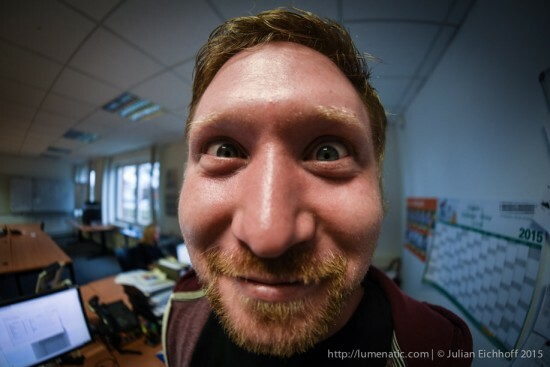 I used to own an 8 mm f/3.5 fish-eye from Samyang for crop cameras, and the lens proved to be a lot of fun. 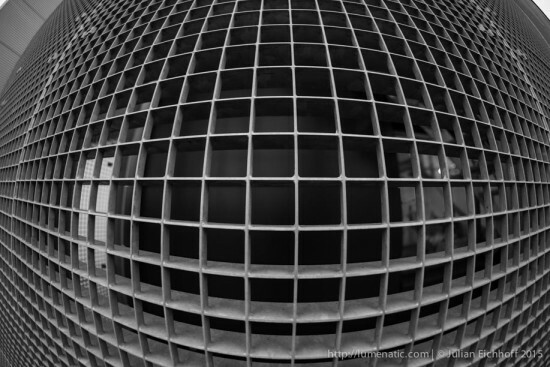 But since there was no adequate full-frame model of such a lens, I stuck to the 8 mm version—until now. 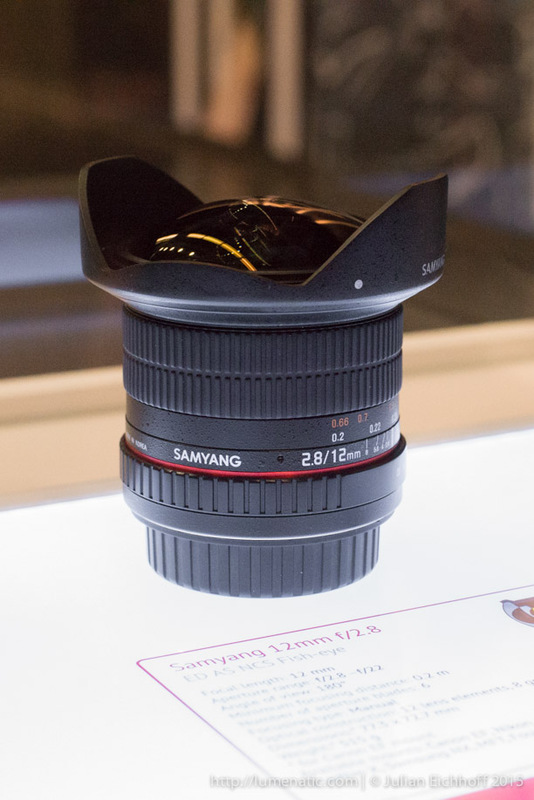 I bought my lens for 550 Euros, which matches the price they told me at the Samyang booth at Photokina. The 12 mm f2.8 fish-eye is branded “WalimexPro”, which is the house-brand of the photo retailer Foto Walser. 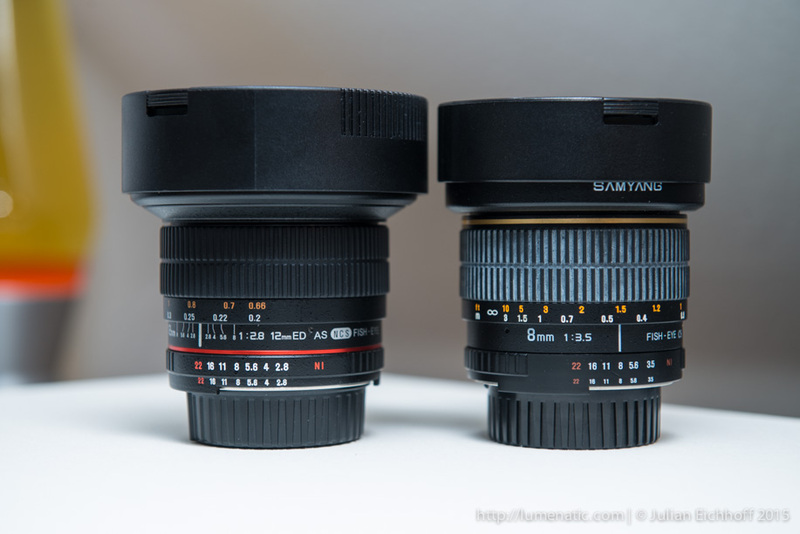 The lenses all come from the Samyang factory but are sold under different brand names like Walimex, Rokinon, Vivitar, and some others. 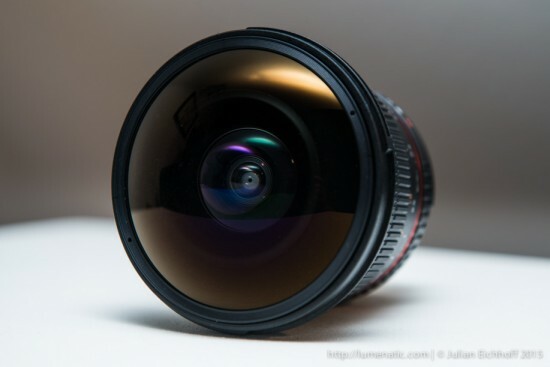 Focal length 12 mm, f2.8-f22, 6-blade iris, viewing angle 180°, min. focusing distance 20 cm (that’s 7.874 inches for you guys in the US). Dimensions are about 77x73 mm (3.03 x 2.874 inches) at a weight of 515 g (1.135 pounds). 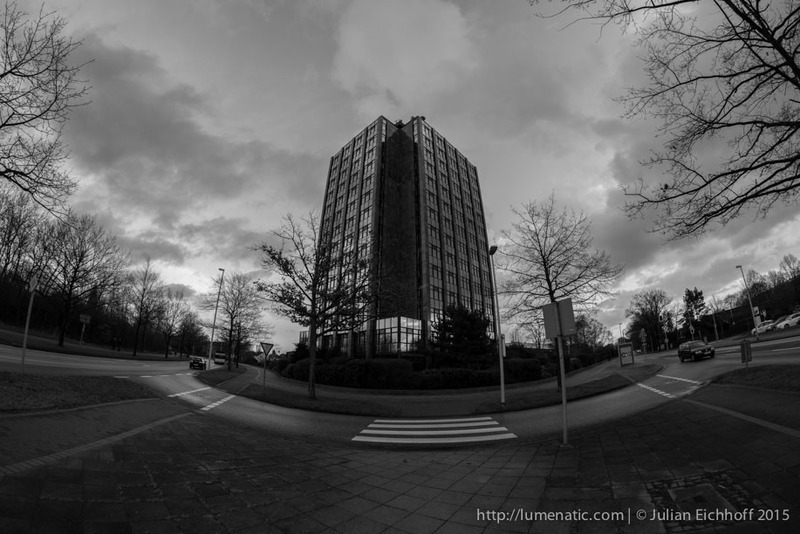 What struck me first when I placed it next to the 8 mm f3.5 fish-eye is its size. 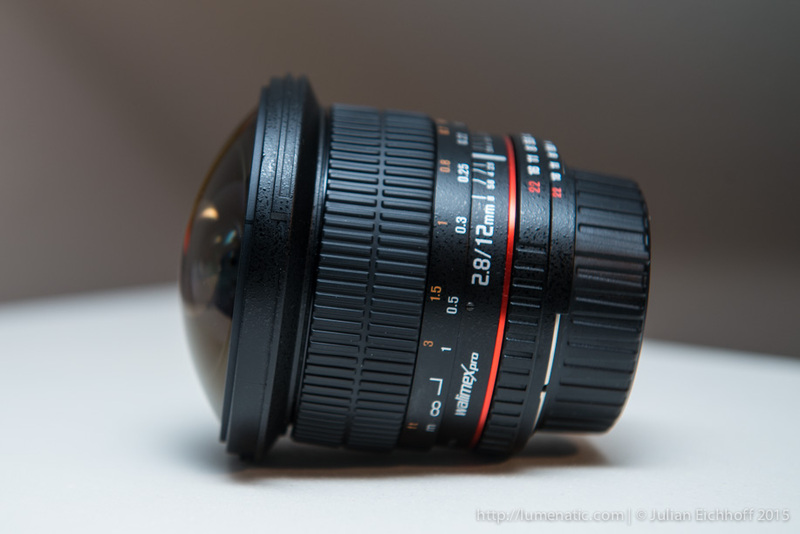 The 12 mm lens is built for full format cameras and has a wider aperture, but it is not considerably bigger. 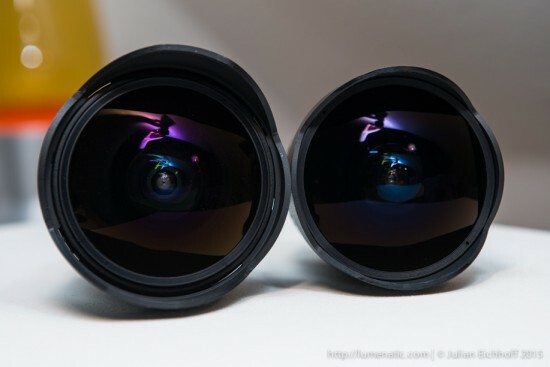 In fact both lenses look remarkably similar (left: 12 mm full-frame fish-eye; right: my battered 8 mm fish-eye for DX cameras). The lens hood is detachable, which was not the case for the 8 mm version I owned. Filters can not be attached due to the bulbous front lens. 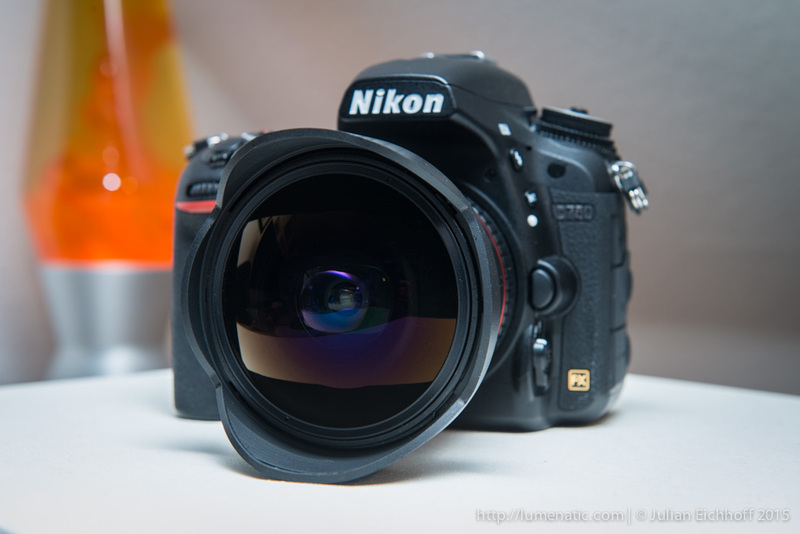 As a kind of an ironic feature, the lens has a red stripe, which looks a little odd on a Nikon camera. 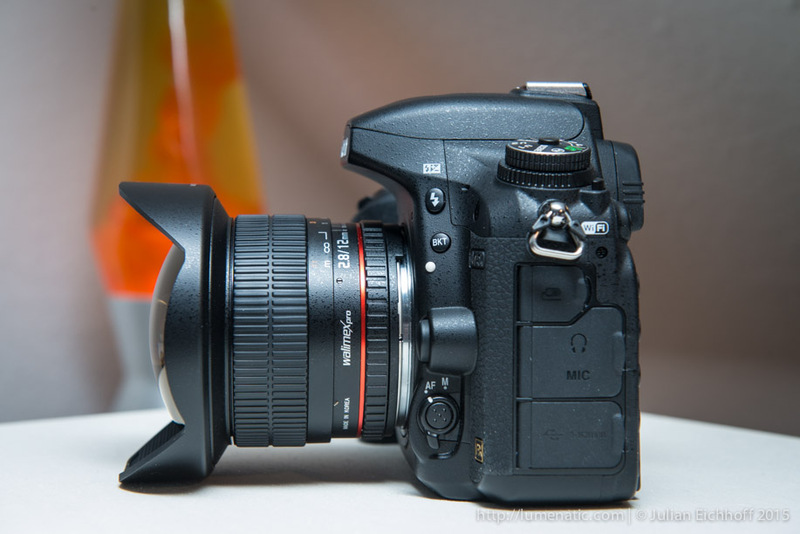 The lens is manual focus only, but it has a chip which transmits the exposure data to the camera (set the aperture ring to f22 in order to get this working). The build quality is high. The lens barrel is made of metal, all plastic parts (e.g. the lens hood) make a solid impression. The zoom ring rotates satisfyingly smooth; on a scale from 1 to 10 (10 being “smooth as butter”, 1 being “grinding paper”), I’d give it 8.5 points. What should I say? 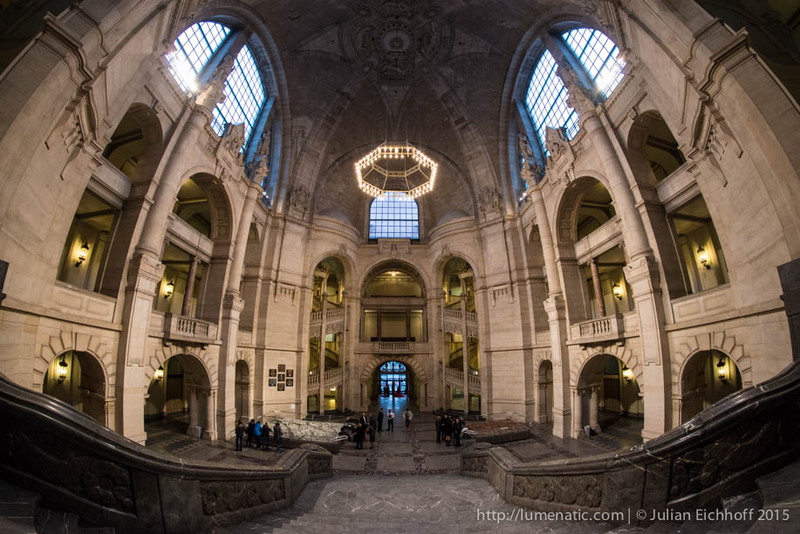 It is a fish-eye with a viewing angle of nearly 180 degrees. Looking through the viewfinder is breathtaking. The world shrinks and is compressed into an amazing spherical panorama. The closer you are to your subject, the heavier the distortion gets. 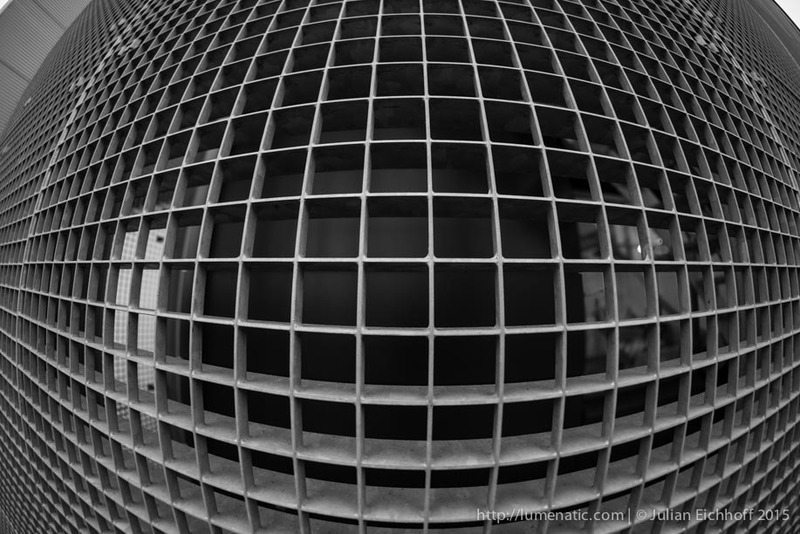 Here is a good example for that effect, demonstrated on a metal grid. 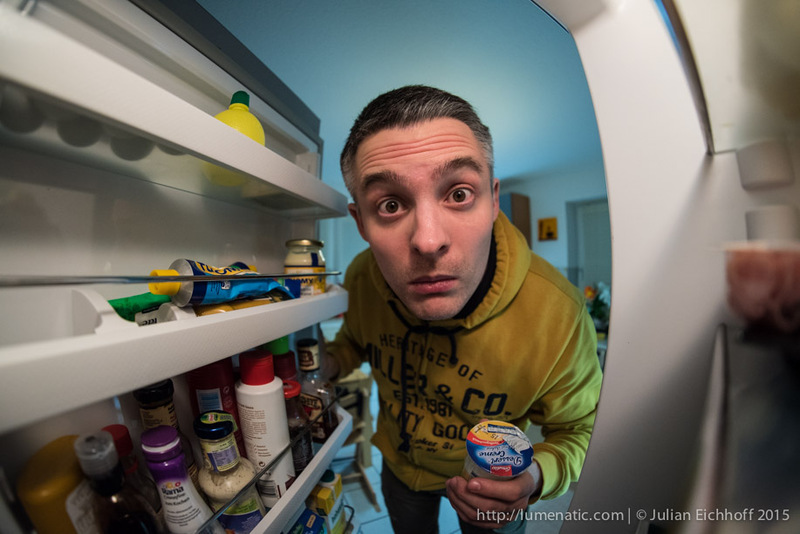 Portraits with the fish-eye are fun, but I would not over-stress that effect (anyone not annoyed with tilt/shift videos yet?). You can either give people humongous noses or stretch their legs to miles, depending on how you frame your shot. Besides making funny portraits, the fish-eye unfolds its real power when capturing huge spaces or objects. This is an office building in Hanover. I like the architecture because it reminds me of Gotham city. The fish-eye does its job and compresses the building and the adjacent streets into an impressive panorama. I like the symmetry that is created. What I noticed when I edited the images: It is crucial to compose and align your shot carefully. 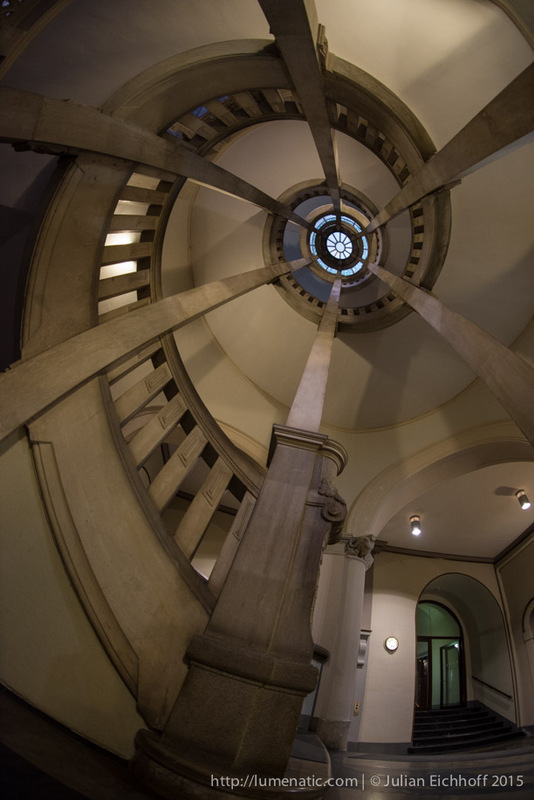 Rotating an off-angle image taken with the fish-eye will quickly look strange due to the heavy distortion. The lines you wanted to be upright might be ok, but other lines will be off after the rotation. A slacky “I’ll fix it in post” is not applicable here. 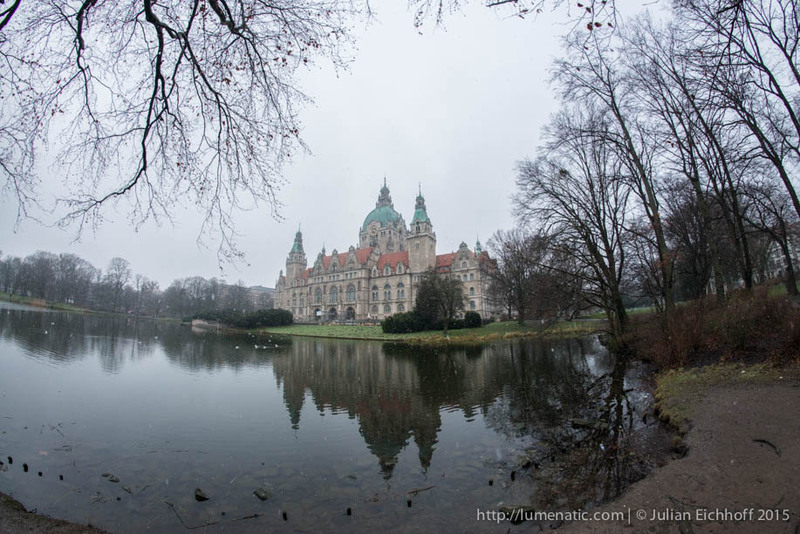 The next image shows the new town hall of Hanover (“new” = built in 1913. The old town hall dates back to the 14th century). 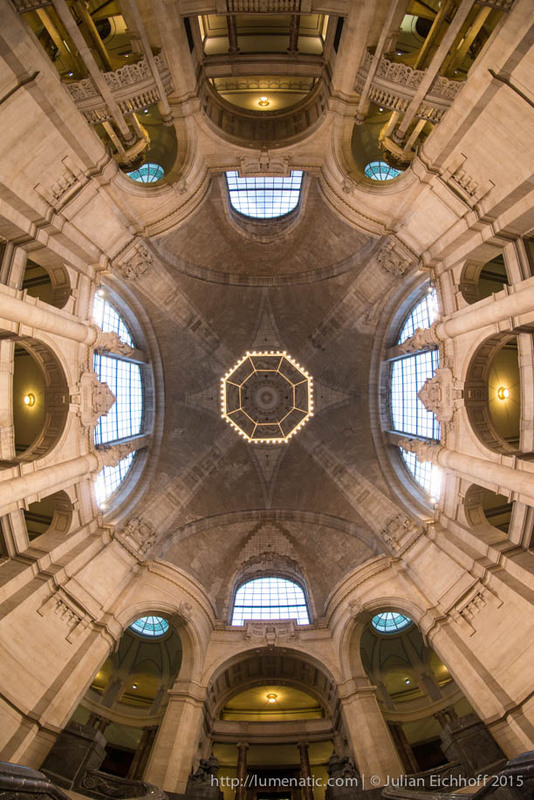 The image is for illustration only, because you have to keep in mind the dome in the center of the structure. The images made with that lens are very sharp. Even if you haven’t worked with manual focus lenses before, you’ll get used to rely on your eye quite quickly. I found it useful not to use the center of the image as a reference area during focusing. The center of the image is heavily compressed and everything looks smaller. 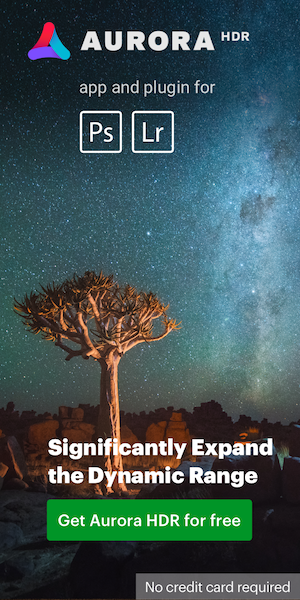 Determining whether the small details are sharp or not might get strenuous over time. Let your eyes sweep a little over the image and check the sharpness on various spots. Focussing back and forth also helps a lot. But as I said—you’ll get it quickly, even if manual focus is not part of your standard routine. The following image has been taken from directly under the chandelier, camera facing the ceiling. This type of image is what makes fish-eyes so powerful. All seems to heed to the center, it feels a little as if you were sucked towards the center. 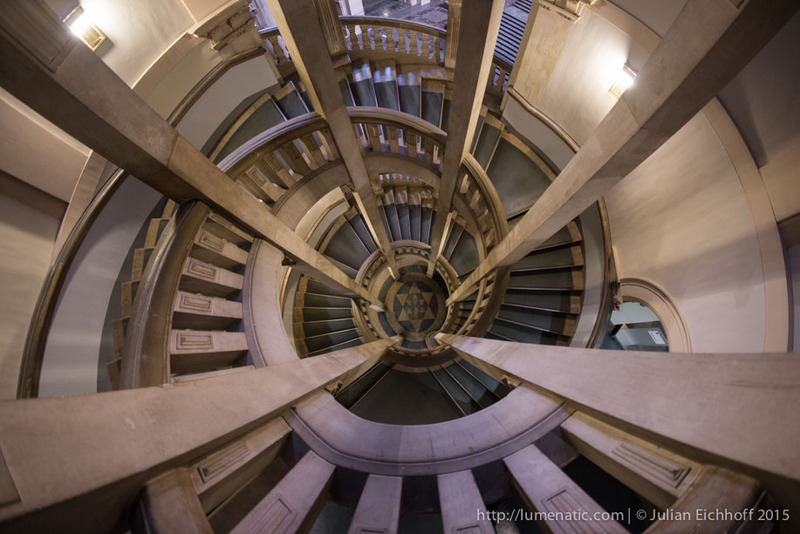 I mentioned spiral staircases. 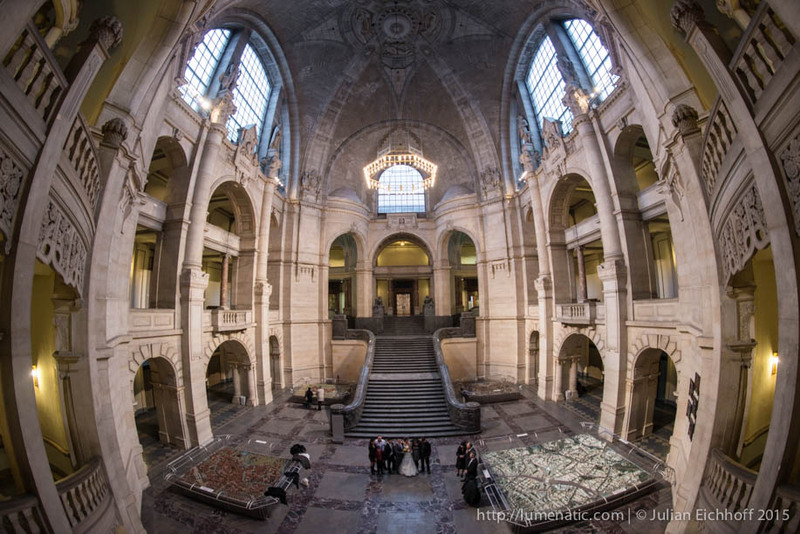 The entrance hall features two impressive ones, which are easy prey for the 12 mm. The Samyang (WalimexPro/Rokinon etc.) 12 mm f2.8 fish-eye is a well-built lens at an affordable price. The lens produces sharp images and has an insanely wide field of view. The fun factor is outstandingly high. It is very powerful in capturing wide scenes and huge objects. The heavy distortion can be employed to create mesmerizing effects and play with dimensions. But still—one has to be aware that this is a lens for special jobs, so it might not be suited to every photographer’s needs (but that last parts applies to nearly everything except batteries and memory cards). About the author: Julian Eichhoff is a photographer based in Hanover, Germany. He is married and has two kids. In his day job, he works as a mechanical engineer. 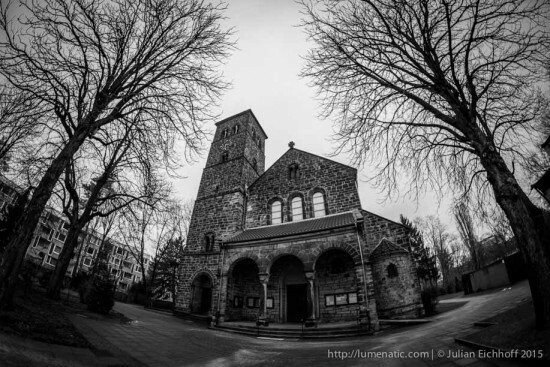 You can follow Julian either on his blog lumenatic.com, Facebook or Twitter. Additional sample images can be found here. The Rokinon 12mm f/2.8 fish-eye lens for Nikon F mount is currently in stock at B&H. 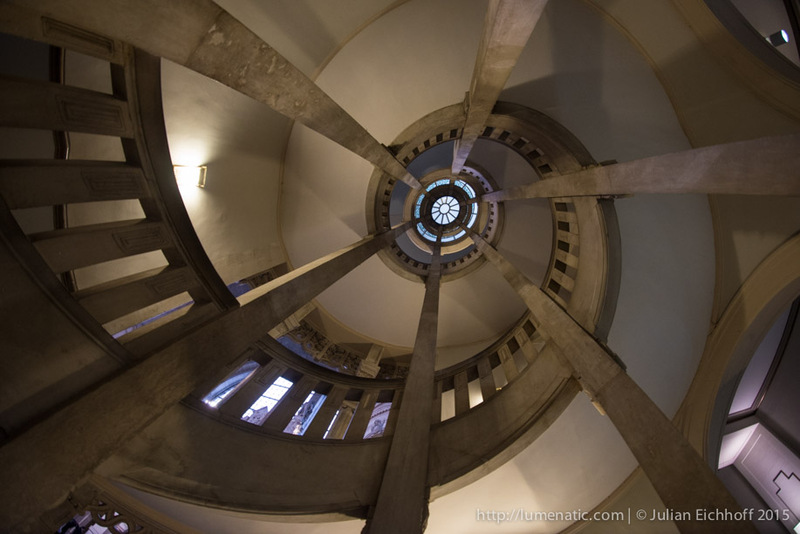 This entry was posted in Nikon Lenses and tagged Samyang, Samyang 12mm f/2.8 ED AS NCS fisheye lens. Bookmark the permalink. Trackbacks are closed, but you can post a comment.